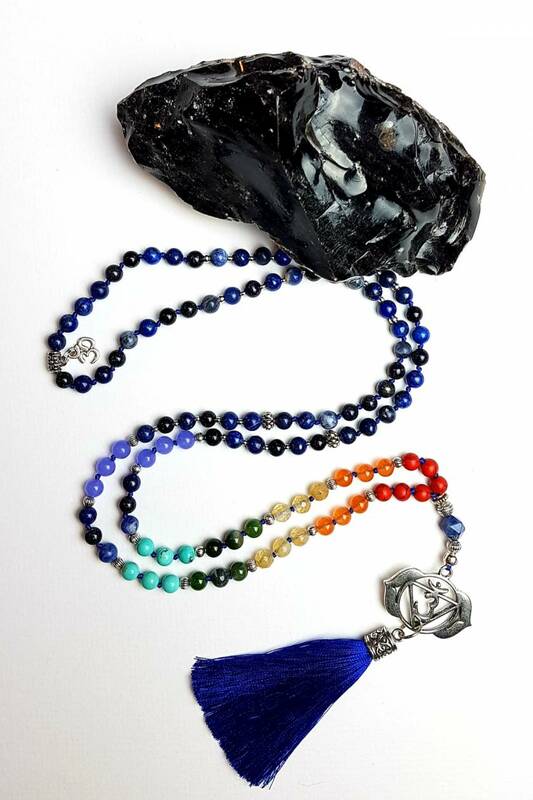 This unique piece is made up of red howlite, orange jade, citrine, moss agate, blue howlite, blue goldstone, sodalite and violet jade. 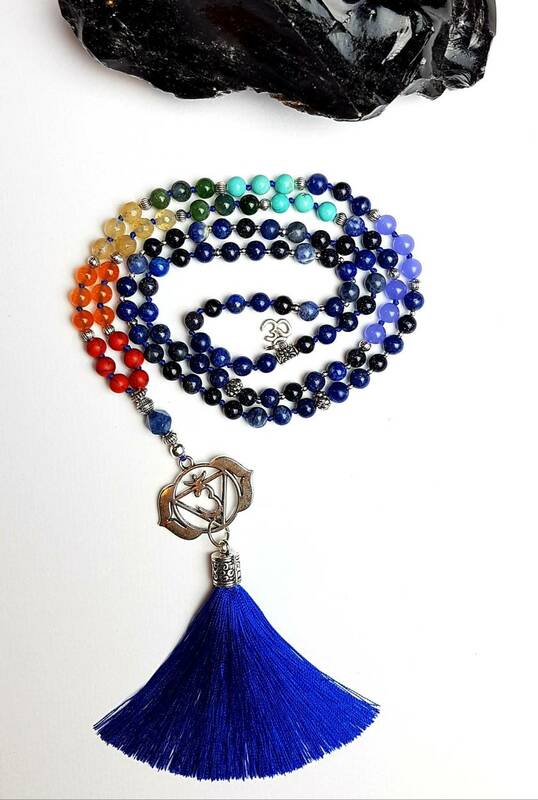 The 6mm beads are partially hand knotted on royal blue nylon knotting thread. 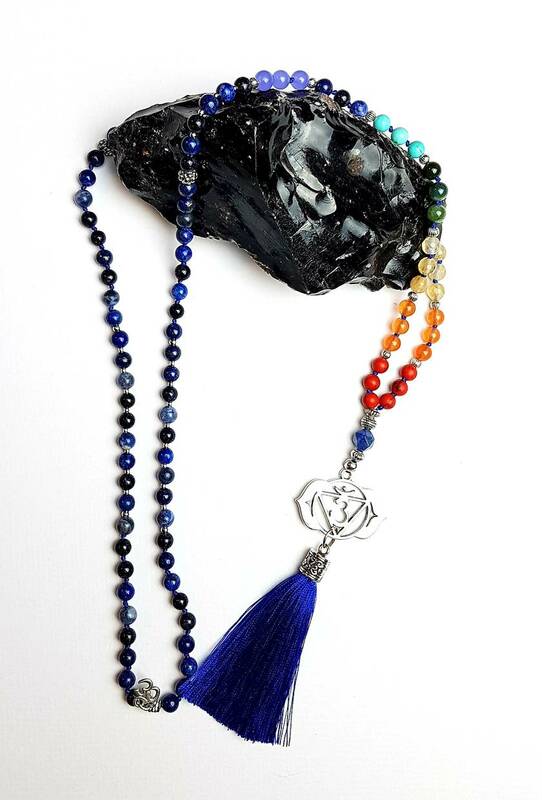 The 3rd eye chakra symbol, silver tone findings and a lovely royal blue tassel finish off this beautiful design. Blue: Throat Chakra - Our ability to communicate. The OM can sometimes get caught on a loose knit top. 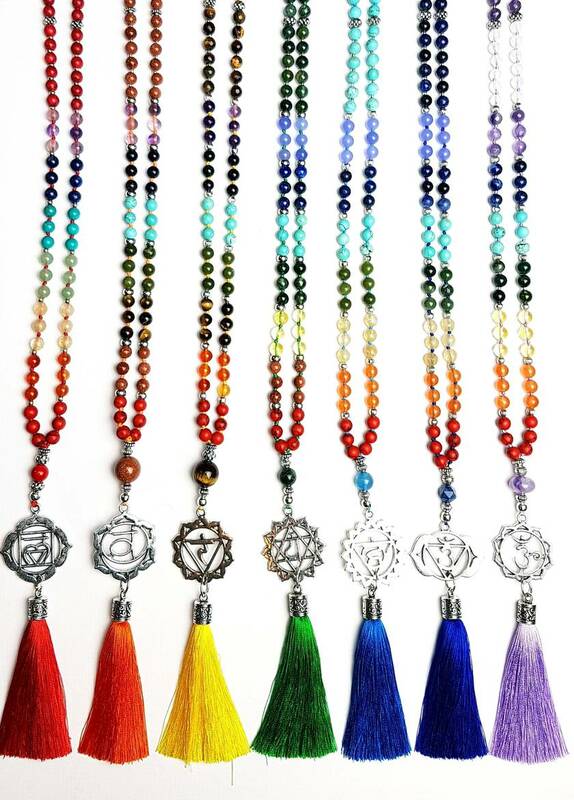 If you do not wish to have the OM charm I can remove it or swap it out for another charm. However, I like to think of the Om snagging on my clothes every once in a while are a little cosmic reminder to slow down and be more present in the moment!